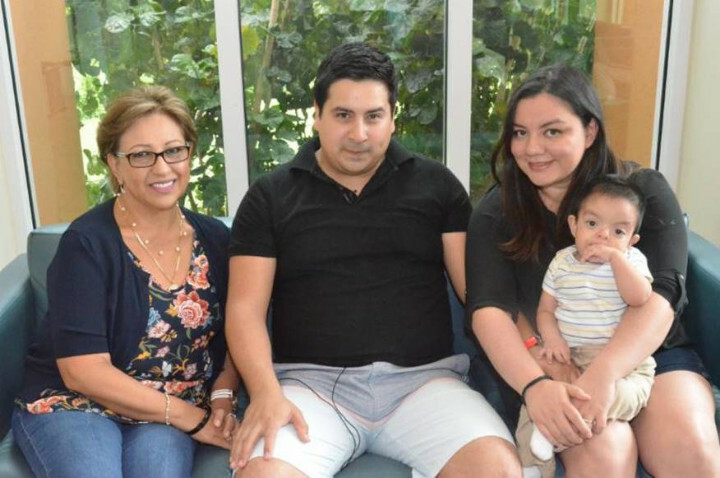 CAYMAN ISLANDS - A toddler from Guatemala celebrated Christmas with a new chance at a normal life after surgery in a Cayman Islands hospital to correct pulmonary valve stenosis, a congenital heart defect. Nicolás García-Granados was admitted at Health City Cayman Islands with the serious heart condition, and immediately underwent a six-hour open-heart surgery that was highly successful. 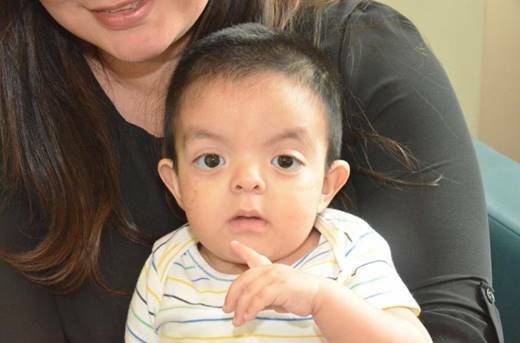 Baby Nicolás was born with a rare genetic condition called Noonan Syndrome, characterized by distinctive facial features, short stature, heart defects, bone malformation, and other symptoms that affect the quality of life and the patient's development. Baby Nicolás García-Granados was born with severe pulmonary valve stenosis and a hole in his heart, due to the congenital Noonan Syndrome. He wasn't getting enough oxygen to his lungs. However, just before Christmas, he received life-changing surgery at Health City Cayman Islands, and will not need further operations to live a healthy life. Due to this syndrome, the baby was born with a severe pulmonary valve stenosis (narrow pulmonary valve) and he also had a hole in his heart. "When Nicolás was born he was very pale, he was practically blue, it seemed that he didn't get enough oxygen to his lungs, in fact he never cried," said Carlos García-Granados, the patient's father. Nicolás underwent his first intervention in Guatemala, a catheterization to dilate the pulmonary valve. However, this procedure was not successful and his doctors determined that Nicolás required delicate open-heart surgery that was unavailable in his home country. Nicolás' family began their journey to find a caring and affordable hospital that could perform his complex surgery. The options included the United States (with a high budget of US$250,000), Colombia, Argentina, and the Cayman Islands. According to the family, the final decision wasn't really a matter of cost - it was more a matter of destiny. "Since the first contact we made with Health City, the staff was very friendly, without complications, but the decision was really made thanks to the recommendation of a friend who brought his baby to this hospital with a serious condition in his heart. The baby had a diagnosis of 72 hours to live, and here they saved his life. That's why we decided to come to Cayman," Nicolás' father said. Upon his arrival at Health City, Nicolás was evaluated by Dr. Sripadh Upadhya, Senior Pediatric Cardiologist, who confirmed the child's serious health condition, and stated that he needed open-heart surgery. Dr. Binoy Chattuparambil, Clinical Director and Head of the Cardiothoracic and Vascular Department at Health City, performed the six-hour procedure, which solved all of Nicolás' heart problems by closing the hole in his heart and correcting the pulmonary valve stenosis. "The procedure was highly successful. Nicolás recovered surprisingly fast. He will be able to live a normal life and will not need any other surgery in the future," Dr. Upadhya confirmed. Baby Nicolás' relieved relatives expressed their gratitude to Health City Cayman Islands. "The days went by so fast that it was amazing for us to see him recover so quickly. We feel blessed to be together ... we want to thank God and this hospital for all they have done for us," said Stephanie Rodriguez, Nicolás' mother.